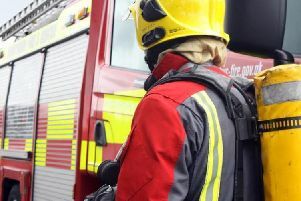 Firefighters extricated a woman who became trapped under a quad bike down an embankment during an incident in Cromford. Crews from Matlock arrived at Willersley Lane around 3.14pm this afternoon (Wednesday, October 24) where they found the woman trapped. Firefighters called to reports of thick smoke. She was released by fire crews and left in the care of East Midlands Ambulance Service. Her condition is not known.